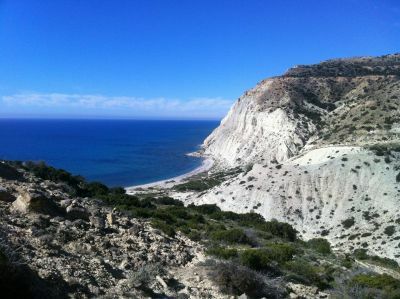 The stark beauty of the landscapes in Pissouri is simply breath taking! Bright crystal waters wash against dazzling limestone cliffs and sandy beaches, Set on the hillside, all trails into the countryside offer stunning panoramas perfect for strolling or biking along, the bright blue sky sweeps down to stunning geographical formations and herds of long eared goats taking a siesta under the agent olive trees. The active walking groups of Pissouri Village are well attended for good reason, the village is surrounded by nature reserves, ancient ruins and terraced vineyards. There is always something unexpected round the next corner such as a deserted shepherd's croft with a view to die for and it is practically impossible to get lost. Around every corner lays another photo opportunity, so have your camera ready and yourselves for exciting experiences!